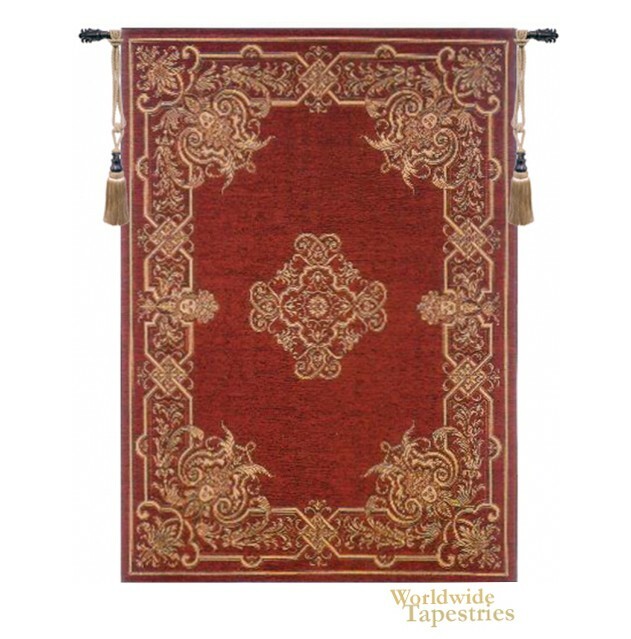 This classic styled tapestry shows a Renaissance design of reds and beige. The use of tapestries began as a decorative motif in homes and castles and designs such as this seen in "Renaissance" tapestry were used to add color and vibrancy to a room. This tapestry is unlined, and has a tunnel for easy hanging. Note: tapestry rod and tassels, where pictured, are purchased separately.